Organic, Good for Nature, Good for You! 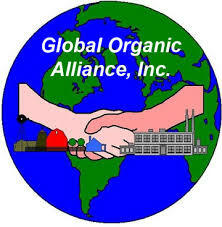 Organic refers to the way agricultural products and foods are grown and processed. Organic production is based on a system of farming that maintains and replenishes soil fertility without the use of toxic and persistent pesticides and fertilizers. the Earth where you live. is to raise it your self. to know the farmer who does.